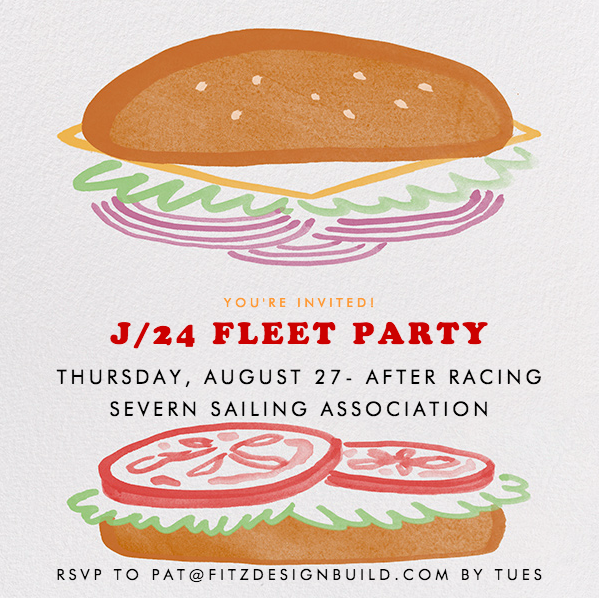 Join us for a Fleet 8 party this Thurs after racing at SSA! RSVP to Pat with the names of who is coming from your boat and bring the kids! Weather looks great and Real Food will have the grill fired up!